Netflix isn't wasting any time in continuing the story of Sabrina Spellman. 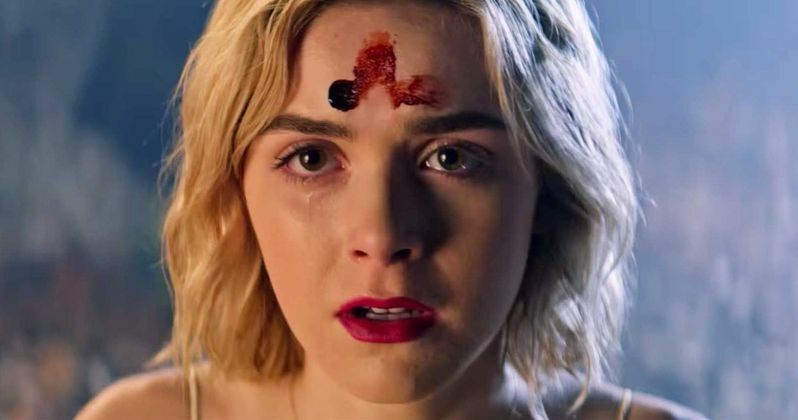 The streaming service, as it turns out, is already filming Chilling Adventures of Sabrina season 2. This news comes as a bit of a surprise, as the first season of the new series hasn't even arrived yet. But the company clearly likes what they have and they're already plugging away at the sophomore season. This news comes from star Kiernan Shipka, who plays the show's titular character. The former Mad Men star made the reveal during a recent interview, as the cast have been making the press rounds recently to promote season 1. Here's what she had to say about it. "We're filming [Season 2] right now. We went straight into the second season from the first and it's been really so exceptionally fun to film, especially given the fact that I feel like we're already in such a rhythm from coming out of the first season that to jump right into the second one was really, really fun and just a great opportunity to keep the momentum going. We definitely... Sabrina definitely changes and shifts a lot. Her growth is very evident and the second season definitely has a different spin on it than the first season. They're very different from each other." In recent years, Netflix has been pouring literally billions of dollars into their original streaming content, which has proved to be a successful business model. As such, they're not shy about handing out renewals to shows that perform well, but it's pretty interesting that Chilling Adventures of Sabrina, which is a much darker take than what fans of the 90s series are used to, got the green light for a season 2 ahead of its premiere. That bodes well for what's to come. Kiernan Shipka also promises that the second season will take an interesting turn, without wanting to give too much away. "I would just say that, without giving too much away, because it would be a bit of a spoiler, the way that Sabrina's life takes certain turns and certain decisions she makes inform the second season. The finale of the first season sets up a lot. It goes in a different direction. We see more different characters. It deals with a different side of things." Originally, this was intended to be a Riverdale spin-off over on The CW. But when they passed, Netflix was quick to jump on it, as the dark Archie series did very well once it was made available for their subscribers. Chilling Adventures of Sabrina season 1 is set to arrive on October 26, just in time for Halloween. There is no word on when season 2 could hit, but expect it to be ready in time for 2019, since it's already being worked on. This was originally reported by Bloody Disgusting. First Look at Sabrina Season 2: New Year, New Witch, New Boyfriend?